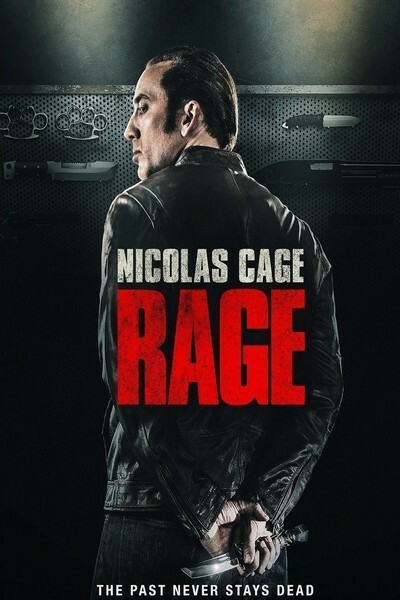 Nicolas Cage (Paul Maguire), Rachel Nichols (Vanessa Maguire), Aubrey Peeples (Caitlin Maguire), Danny Glover (Det. Peter St. John), Peter Stormare (Francis O’Connell). Directed by Paco Cabezas and produced by Michael Mendelsohn and Richard Rionda Del Castro. Screenplay by Jim Agnew and Sean Keller. Kate Beckinsale (Rachel Armstrong), Matt Dillon (Patton Dubois), Angela Bassett (Bonnie Benjamin), Alan Alda (Albert Burnside), Vera Farmiga (Erica Van Doren), David Schwimmer (Ray Armstrong), Courtney B. Vance (Agent O’Hara), Noah Wyle (Avril Aaronson), Floyd Abrams (Judge Hall), Preston Bailey (Timmy Armstrong), Kristen Bough (Allison Van Doren), Julie Ann Emery (Agent Boyd), Robert Harvey (Warden), Michael O’Neill (CIA Director), Kristen Shaw (Angel). Directed by Rod Lurie and produced by Marc Frydman, Lurie, and Bob Yari. Screenplay by Lurie. Rod Lurie’s Nothing But the Truth is a fascinating, riveting, absorbing ripped-from-the-headlines political thriller about moral integrity, journalistic freedom and, yes, national security and what happens when all those virtues collide. Elizabeth Ashley (Marg Kaminski), Jayce Bartok (Guy Kimbrough), Bruce Dern (Easy Kimbrough), Miriam Shor (Stephanie), Aaron Stanford (Dwight ‘Beagle’ Kimbrough), Kristen Stewart (Georgia Kaminski), Talia Balsam (Violet Kaminski), Tom Cavanagh (Lloyd), Melissa Leo (Ceci Kimbrough), Jesse L. Martin (Judd), Avery Rak (Young Guy), Andrew George Jr. (Young Beagle (as Andrew George)), Dan McCabe (Teenage Boy #1), Conor Romero (Teenage Boy #2), Jeffrey Spiegel (Teenage Boy #3). Directed by Mary Stuart Masterson and produced by Allen Bain, Darren Goldberg, Masterson, Elisa Pugliese, Jesse Scolaro. Screenplay by Jayce Bartok. Robert Rodriguez’s extended and unrated DVD release of his half of the horror/camp double feature “Grindhouse” (the second half is Quentin Tarantino’s “Death Proof”) is as gory, goofy and fun as a zombie film can get. The film stars Rose McGowan as Cherry Darling, a go-go dancer who (at the urging of those around her) thinks she ought become a stand-up comedienne. Freddy Rodriguez (formerly of “Six Feet Under” and perhaps atoning for the dreadful “Harsh Times”) is El Wray, a wrecking-truck driver with a penchant for fancy footwork, knives and general violence. When a mysterious outbreak hits the small Texas border town, turning the local populace into flesh-munching zombies, it’s up to Cherry and former lover Wray (and a small band of survivors) to fend off the evil invasion. Marley Shelton and Josh Brolin (who had a great year in this film, alongside Paul Haggis’ “In the Valley of Elah,” Ridley Scott’s “American Gangster” and-of course-the Coen Brothers’ “No Country for Old Men”) are standouts among a stellar B-movie cast, truly getting into the over-the-top spirit of the cliche’s they are playing. Rodriguez too brings his entire cinematic bag of tricks to bear on a grade-zilch horror movie parody. By itself, it’s entertaining, but along with Tarantino’s work, makes “Grindhouse” a one of a kind must-see! Writer-director Quentin Tarantino’s very good second half of the 190 minute exploitation double bill “Grindhouse” was released separately on DVD, and is longer and just as uneven as it was before. The film consists itself, of two halves: First, a group of cocky and pot-seeking young ‘thangs in Austin, Texas are targeted at a bar by a mystery man in a black car adorned by a lightning bolt print on the hood and a creepy silver duck ornament. The mystery man is Stuntman Mike (Kurt Russell, in typical Tarantino career reinvention mode), a murderous sociopath with a real hate on for all women, seemingly. The first group of girls is highlighted by the gorgeous and intriguingly Brooklyn(? )-accented Vanessa Ferlito and the monotone and fairly bland Sydney Tamiia Poitier (yes, Sidney’s daughter!). This stretch is dialogue heavy, culminating in a BRILLIANT car crash sequence set to a little known 70s/80s punk song (there’s even a monologue about its origins). Tarantino loves him some talking, so if an initial feeling of deja vu comes over you during the second half, don’t fret: Stuntman Mike decides to target a new set of girls – Rosario Dawson, stuntwoman Zoe Bell (as herself; she was Uma Thurman’s stand-in for KILL BILL), and Tracie Thoms (of RENT). These girls are tougher, seeking danger even before the “Death Proof” car reaches their tailpipe, and the violent, high-octane revenge-filled climax is exhilirating and satisfying. Stay for the ending credits – just for the great April March song and cutaway inserts! McKee is in no less homage-y territory here: There are elements reminiscent of both Carrie (yet again) and Dario Argento’s classic Suspiria within this tale set in 1965 New England (I’d assume that’s where it’s set, but it’s never revealed). We meet Heather (Bruckner), a troubled youth who has started a fire in her home and whose parents (including hammy actor extraordinaire Bruce Campbell) decide to ship her off to a private all-girls Academy. This school is somewhat off-putting and strange, and ultimately the headmistress (Patricia Clarkson, creepy and realistic all at once) is near-immediately suspicious of the young upstart she’s admitted to her school. Soon, disturbing noises, darkly lit sojourns to off-the-beaten-path territories within the school grounds, and more than a few cliched myths and confrontations between adversarial students rear their ugly heads, and we have a rather straight-forward thriller – especially coming from the young and promising writer-director of one of my all-time favorite horror films. Mr. McKee, as I’ve read, may have had this film taken away from him. Still, some if not all of the old McKee touches are present: especially a creepily slowed down version of the classic “You Don’t Own Me” straining on the soundtrack at various intervals – including the end credits.